I have taken art the last 3 years in high school. We've done many projects and I always wasn't too interested in the projects but 2 years ago we did a project which we had to research an artist and take one of their paintings and re create it. I got the chance to look through many artists and what kind of work they do. 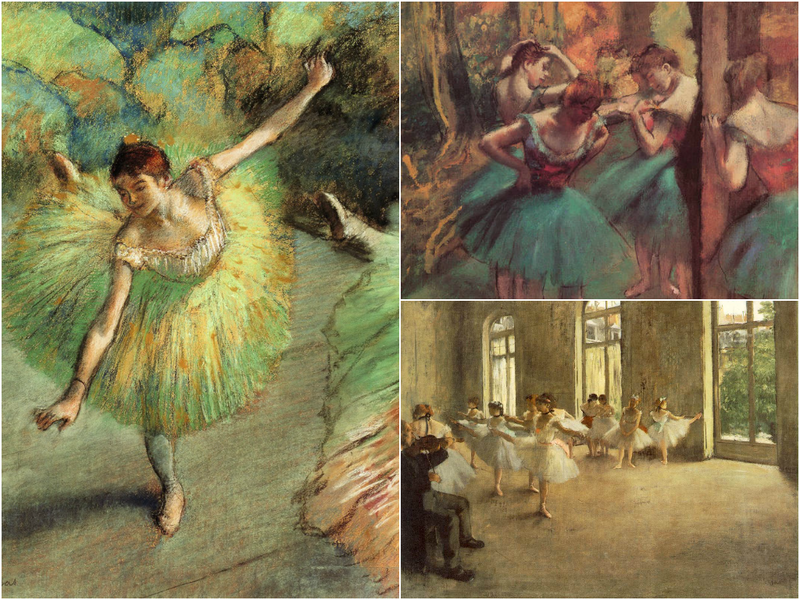 I finally found Edgar Degas which I decided was my favorite because of the main idea he likes to paint, dancers. I enjoyed all his paintings and media he used. Here are some of my favorite paintings by degas.